False claims for wages and expenses, cargo theft, sabotage and industrial espionage, on the one hand, and marital infidelity, a custodial parent neglecting the child, and false information provided in the course of a child support and/or alimony case, on the other. Among others, these are only a few of the many kinds of cases that our corporate and private detective agency in Bottrop investigates on a regular basis. The private investigators of the Kurtz Detective Agency are your IHK-certified detective specialists for all kinds of investigations in Bottrop and the Ruhr area: +49 201 3840 9057. Bottrop, a big city counting 115,720 inhabitants (2014), is internationally known for its Movie Park Germany in the area called Kirchhellen, an amusement park which offers, for example, the MGM Film Museum and countless attractions. Additional tourist attractions are the Alpincenter offering a 640-meter indoor ski slope, the longest in the world, and the late baroque Beck Castle (which also includes an amusement park). Between the masses of tourists and locals, our private investigators in Bottrop manage to monitor target persons in order to find out, for example, if an ex-partner is taking sufficient care of his children or if he makes use of the amusement park as if it was a car park for children in order to amuse himself in other ways. Other target persons can include a partner who is suspected to be cheating and who is meeting their sweet affair within the excitement of the attractions, or an ex-partner who pretended on their financial statements to not own a single cent during the calculations of child support and/or alimony payments although they turn out to work in a regular job. These and many other issues need solving and legal evidence by qualified investigators and the detectives at our detective agency in Bottrop can help. We will gladly support you with our know-how. We will also gladly advise you on your case-specific investigation options. You can give us a non-binding call or make use of the contact form. 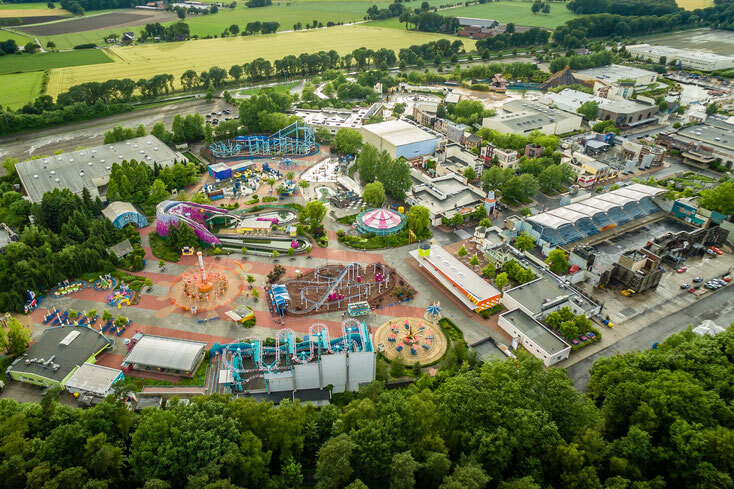 Next to TSR Recycling and Nadler Feinkost, the Movie Park Germany is the company with the most employees and with the biggest revenue in Bottrop. Bottrop is the only city in the Ruhr area which still has a running colliery: the Bergwerk Prosper-Haniel. However, the plan is to close Germany's largest colliery in 2018. Bottrop has made excellent use of the structure changes and proves to be a future-oriented city and it was awarded the European Energy Award thanks to its energy conservation, as well as the special prize of the National German Sustainability Award for the project "InnovatioCity Ruhr". 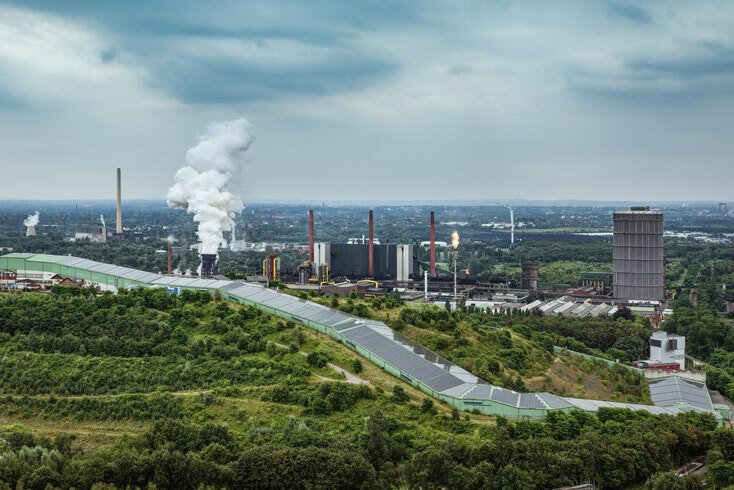 Instead of coal, Bottrop now relies on the packaging industry, logistics, the recreation, tourism and food industry as well as garden and landscape project planning, auto-tuning, and chemistry in the construction and building industry. Innovative ideas are not only interesting for the future but also for those committing corporate crime. The competition is after the ideas and developments of Bottrop's companies and theft of information, eavesdropping operations and bribing employees are effective means to get hold of those sensitive data. The employees are, in fact, the offenders – more often than the management of most businesses or companies would guess. While more or less one hundred years ago, disloyal employees were stealing coal, the most frequent offences committed by employees today are warehouse theft, bribery and consequently theft of firm data to the advantage of the competition, false claims for expenses, fraudulent sick leave, and working in an illicit second job. Our IHK-certified corporate detectives in Bottrop are approached with cases like those mentioned above and many others. Thanks to our many years of experience, we can offer you the most suitable investigation methods for your specific case and that for a fair fee. We stand for thorough and legally gained evidence which always stands up in court. Our detective agency in Bottrop will gladly advise you on your matter in a non-binding conversation: +49 201 3840 9057.